What did I just say here and here? When news broke from James Allen that Ross Brawn may have inked or has spoken about a deal with Liberty Media to come in as a sporting director along with their acquisition of Formula 1, I had suggested that his role would seem more cohesive within the FIA instead of the commercial rights holders. “I’d be delighted if he went to the FIA – he would be absolutely first class,” Ecclestone told Autosport. “I haven’t spoken to him for quite a long time. I haven’t got the slightest idea what he could do. If you were Liberty Media and you had the confidence in your ability to not only acquire F1 but set forth a long-term plan for its sustained profitability, you may look for a role for Ross if you believed he would make an eventual successor to Ecclestone’s role but that’s slightly askew because I would have presumed Chase Carey would fill that role unless he felt he doesn’t have all the tools he needs regarding insight, long-standing presence in F1 and relationships. It could also be that he views the ultimate leadership of F1 as a multi-role job of CEO, CMO and COO—Ross being the COO and perhaps, if you believe rumors, Zak Brown being the CMO leaving Chase as the CEO. “Liberty Media are shareholders – Chase [Carey] has taken up Peter Brabeck’s role as chairman, but they are not in control of the company,” Ecclestone added. “They have 10% of the company, and at the moment I am still chief executive of the company. “It’s the same company it’s always been. If Liberty gains control then they are in a position to do whatever they want to do, which anybody that owns a company can do. There is another side of this equation that is just a bit of conspiracy on my part but I would be keen to know what Liberty’s relationship and long-term thinking regarding the FIA is. Bringing in your own sporting and technical chief is a duplication of what the FIA is legally bound to do and not bound in a negative but a positive term if you are the FIA. Could Liberty be thinking post 2020 and the contractual agreements the Formula One Management group has with teams and the FIA? Could they be looking at a new structure that not only includes the commercial but regulatory oversight of F1 in the long term? To try and go it alone would be a monumental task and that’s why the team’s threat of a breakaway never materialized in the past. The FIA has a firm grip on race sanctioning and the EU rights to regulate motorsport in Europe. Reading Max Mosley’s biography, I gained a much deeper insight as to how the FIA controls motorsport and any reality of a new series simply negotiating new contracts with promoter and circuits and then go racing. It’s nowhere near that simple. IT would be a litigious mountain to overcome. So as the F1 world turns, expect more positioning and speculation as to what and when Liberty Media will make changes and who may be involved. “Liberty have not got far enough down the road to make any commitments yet,” said the Englishman. Occasionally Mr E does talk sense. Ross Brawn would make an excellent poacher turned gamekeeper. As mentioned on the Facebook page. Is a certain election next year. How better to shape the future relationship with the FIA, than endorse a candidate to replace someone, who it is said hasn’t had the best relationship with Mr E.
Yes the exit of Mr.E and Mr.W would go a long way in righting the ship. What difference a day makes! 24 hours we were happy as Ross becoming Bernie’s successor. And now, the joy is gone as Bernie reminds us that he is firmly in charge and Ross may have taken an advisory roll with Liberty Media. John Malone and Chase Casey seriously have to wonder what exactly did they get with this deal? Because it changes from week to week, race to race. Perhaps the model Liberty Media is thinking of, is to bring Ross Brawn in to advise on the Sporting Welfare of F1, until such time as Liberty gain controlling interest in Formula 1, whereby they then institute Ross into a formal F1 Sporting (COO) like position… OR… Liberty Media make arrangments with the FIA’s Jean Todt to provide a well payed Ross Brawn into a newly created “FIA F1 Sporting Director” role. Liberty employsthe man/talent. FIA provides the Role/Authority. 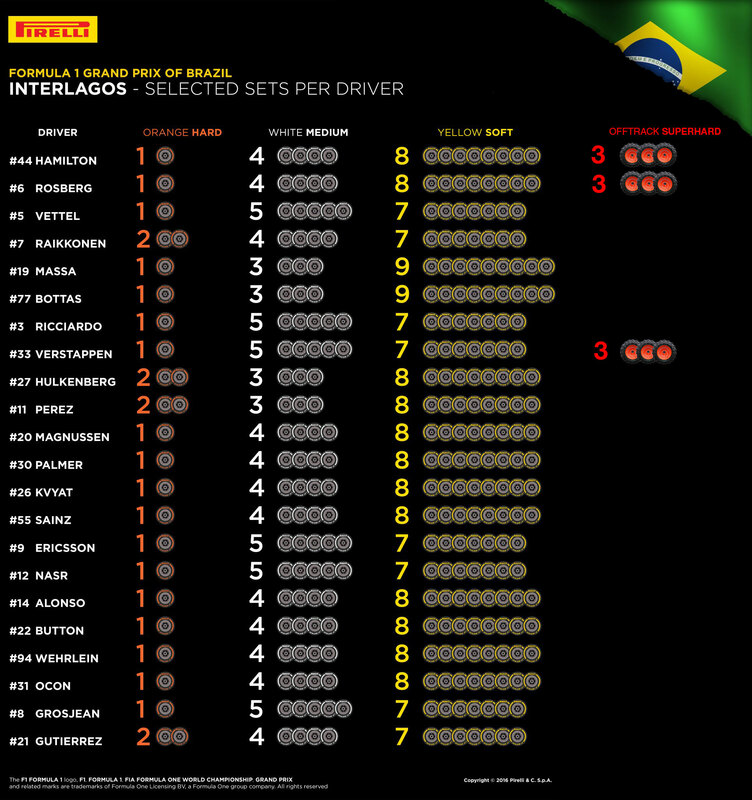 Pirelli have addressed identified “special needs Drivers” with a new TYRE “Super-Hard” Compound/Design for the upcoming Race Weekend in Sao Paolo. Or this Mario Kart commentary on the Mexico 1st lap – 1st Corner scenario. So is the sell still going through or can that still be canceled? Yes but don’t expect huge change until at least the early part of next year, when they do become majority stakeholders if all regulatory compliance goes according to plan. It may be longer still if things get complicated.